The road to restoring your hearing doesn't end when you get hearing aids. In fact, when you first get hearing devices, it marks the beginning of a new journey entirely. Adapting to a hearing aid is a gradual process, and comes with its fair share of ups and downs. However, if you want the best benefit for your ears, it's vital that you wear your hearing aids as much as you can. Here we look at why it's so important. Adapting to hearing all the sounds you've been missing is a gradual process. As hearing aid wearers will know, it takes a while to get used to the sudden influx of sound when you first start to wear your hearing aids. Part of this is due to the fact that our brain has to adjust to processing the incoming sound again. Even though they may appear to perform a similar duty, hearing aids aren't like prescription glasses in at they don't provide an instant fix. However, if you are persistent in wearing your hearing aids, your efforts will pay off. In Australia, we still have a way to go in terms of hearing aid use. According to the Hearing Care Industry Association (HCIA), only one in four people who could benefit from a hearing aid actually own one. However, one study looking at the trends of hearing aid use in older Australians found that as many as 24 per cent of hearing aid owners had never even worn their devices1. Why is it so important to wear your hearing aids? The concept of "use it or lose it" when it comes to maintaining various skills can equally be applied to our hearing. When hearing loss is left untreated, it can impact our brain in a number of ways. 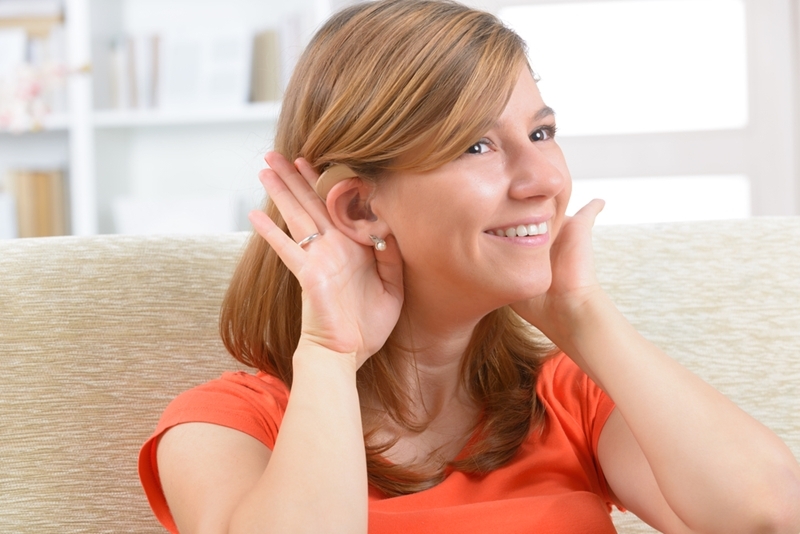 Research by Johns Hopkins Medicine has linked hearing loss with an accelerated loss of brain tissue3, also known as atrophy, a similar phenomenon that occurs in people with dementia. As audiologist Dr Robert L Martin explains, you don't really hear with your ears, you hear with your brain4. The concept of "use it or lose it" can equally be applied to our hearing. ''Hearing aid use is like exercise. If you want to get your muscles in shape, you need to exercise them every day," he noted in an article for The Hearing Journal. Need help with your hearing aid? If you've just got your hearing aid and you've been struggling to adjust, it's important to be patient with yourself. However, sometimes you may need to visit your audiologist to make wearing your devices more comfortable. For instance, if you are experiencing feedback from your devices, you hear a buzzing sound when using your mobile phone, or you feel as if your hearing aids aren't sitting in the right position, it's a good idea to visit your local HEARINGLife clinic. While getting used to your hearing aids takes time, the team at HEARINGLife are here to help every step along the way, from diagnosing your hearing condition to finding the right solution for you. If you're ready to experience the difference that hearing aids can make to your life, book your no cost* hearing check with your local HEARINGLife clinic by clicking here, or give our team a call on 1800 030 502. 1 NCBI, Use of hearing AIDS and assistive listening devices in an older Australian population. Accessed May, 2017. 2 HCIA, The facts about hearing health in Australia. Accessed May, 2017. 3Johns Hopkins Medicine, Hearing Loss Linked to Accelerated Brain Tissue Loss. Accessed May, 2017. 4The Hearing Journal, Wear your hearing aids or your brain will rust. Accessed May, 2017.